Breeding status 2008-11: the breeding status recorded in all Berkshire tetrads in the atlas surveys 2007-11. 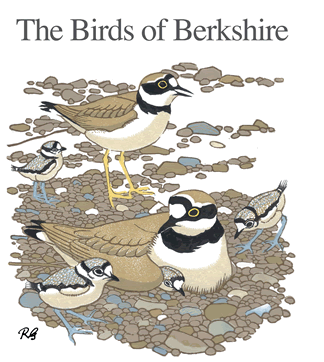 Breeding status 1987-9: the breeding status recorded in all Berkshire tetrads in the atlas surveys 1987-9. Breeding season abundance: the highest number of birds recorded for each tetrad during 2-hour tetrad visits in the breeding season (April – July) in 2007-11. Winter abundance: the highest number of birds recorded for each tetrad during 2-hour tetrad visits during the winter season (November – February) in 2007-11. Spring and Autumn Migrant analysis: the number of bird x days for each tetrad for non-resident migrant species (Spring: all records March – June and Autumn: all records July – October, 2008-11). For some rare breeding species, although the Berkshire totals are given, the tetrad locations are not shown.